with any questions you may have by CLICKING HERE. The Ledges Golf Club Offers 4 golf memberships. All of our membership packages include the following added benefits. 20% off green fees for your guests when they come to play with you. 10 day advanced tee time privileges. 10% off all in stock pro-shop merchandise. Ability to play in all club sanctioned member events including our Tuesday Night Members League. Participation in member’s only complimentary clinics. A full golf membership entitles you to unlimited use of the facilities from opening day till closing. Young Adult Member Instant Savings Available To Anyone Under 35 Years Old. An off peak membership entitles you to unlimited use of the facilities in the off season (opening day till the beginning Friday of Memorial Day Weekend and anytime after the Tuesday following Labor Day). In Season, off peak members can play unlimited golf Monday through Thursday. Off Peak members can still plan on the weekends in season and will receive a 25% discount off the public rate at any time. A great way to get involved with the club at a low price. A basic membership gets you 25% off the public rate all the time. This is a great way to call The Ledges Golf Club your home course at a fraction of the cost. This NEW membership entitles you to play any day after 1 PM Spring & Summer or after 12 PM after Columbus Day. Use this affordable membership to keep your game sharp and enjoy golf regularly at a reduced cost. WHY JOIN THE LEDGES GOLF CLUB? If you already play regularly at The Ledges Golf Club, you know why you come here. It’s all about the golf playing one of the most superlative courses in New England on a layout done by an architect who understands what the game is all about in Maine. But there’s more to it than just learning to read our greens and shaping your shots to our fairways. We also offer a real escape to the woods to play on a course surrounded by forests and wetlands. The land surrounding The Ledges will never be developed by houses or condos. And on top of all that, we have a gracious and friendly staff who make you feel right at home. So maybe now, you should consider buying into The Ledges by purchasing an annual membership. If you play here all the time anyway, it’s going to give you great savings. . All this scenic beauty and the challenge of the game will definitely feel as if it belongs to you alone once you sign up for one of our membership plans. 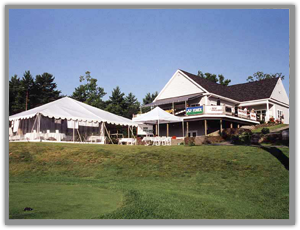 Note that all our membership packages include handicap service and eligibility for tournaments. Plans also give you discounts in the pro shop and the ability to make tee times 10 days in advance, in comparison to 7 days available to the public.